Hey everyone! I hope you all are doing great. Finally I am bringing you all the much awaited review of a free Anti Virus which according to me is the best FREE security solution right now. I am talking about Avast! Don’t worry; it’s no longer the lazy music player, avast! has evolved a great deal and is currently a great option to go for. Security being a big concern these days and inflation being a super big problem burning holes, no not holes, digging pits in our pockets, I guess we are looking for free security solutions. We tend to go for pirated or cracked ones without thinking much about the problems that may surface due to cracked software use. Without delving into details, I would just like to warn you, cracked software might not be safe. They may be, but in most cases they are not. They are known to contain backdoors, spyware and adware software that are all potential malware. So it is better to stay away from using cracked software. Looking to compete with both paid and free security suites, Avast wants to create a unified approach to your computer security. Long gone are the days of the quirky interface. Avast is accessible and robust, with an impressive list of free features and strong, though hardly stellar, performance benchmark. avast! 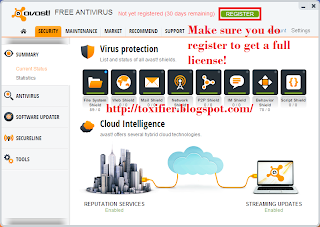 Free Antivirus provides constant virus protection, also called on-access or resident protection, for free. This means that avast! Free Antivirus can completely replace antivirus software from companies like McAfee and Norton that charge for their software and for yearly access to updates. During the avast! installation, you're asked to install the free Google Chrome browser and IE toolbar. These additions are not required so if you're not interested just uncheck the boxes. 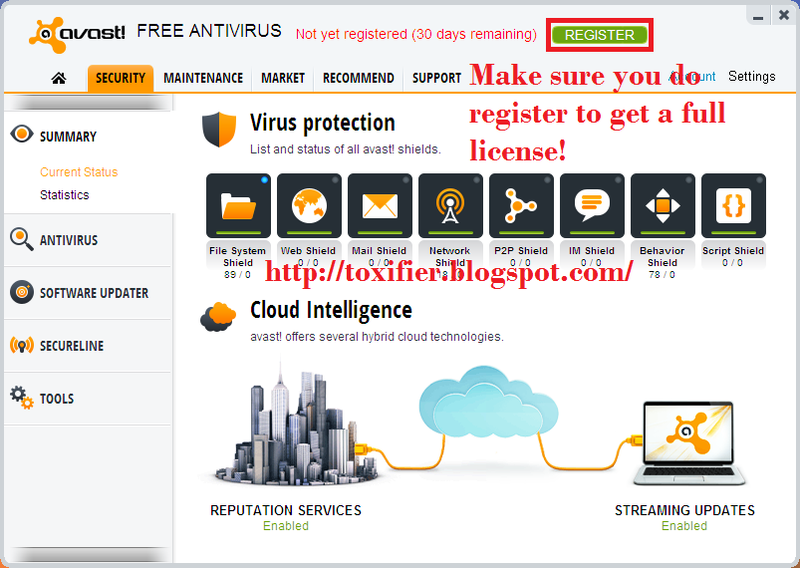 Also, you are required to register avast! to use it more than 30 days but registration is free and pretty simple. You'll also have to reregister once per year - again, for free. Run the file downloaded. And follow the images below to go through the installation process. It would take less than 3 minutes to install it and a minute to register, thus around 4 minutes to get going!  A small explanation is given with the pic, wherever required. Make sure you uncheck Google Chrome and Google Toolbar installations if you don’t wish to install them since they are not required by avast! for installation. If you use a booster SSD and want to conserve space on it, you may change the destination of installation, though I recommend not changing it. 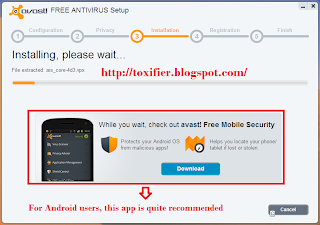 If you use a smartphone, you can also download avast! mobile security for it. It has tonnes of cool features including mobile tracking and other features to prevent information theft. Though some features are paid but most cool ones are free to use, so do consider using it. The best thing is that, you can use same avast account to register that device too!  So do install it on your smartphone. What do popular websites say? avast! is so great because it's a complete tool, protecting you from threats from the Internet, email, your local files, P2P connections, your instant messages, and more. avast! Free Antivirus 8 from AVAST Software is one of the best free antivirus software programs you can download. If avast! 's very good malware cleanup doesn't recognize a suspicious file, its built-in automatic sandboxing can keep that file from doing harm. It's one of several good choices for free antivirus protection, with unusual bonus features like Web reputation reporting and built-in remote assistance. When it comes to your security, Avast 8 gets a lot right. It's got a usable, uncluttered interface, solid although not stellar benchmarks, and a set of features that keeps it at the forefront of Windows security. Avast Antivirus 8 Free continues to be a stellar choice for free Windows security, and we enthusiastically recommend it. Few people want security that turns a good machine into the malware equivalent of Swiss cheese, and on that count, Avast has your back. Avast 8 fixes browsers, out-of-date apps (too). Straight from the horse’s mouth: What Avast has to say about Avast! Our flagship Avast Free Antivirus is here again. We've made improvements to its Behavior Shield and Remote Assistance, improved the cloud technologies and the energy-saver settings. And we've simplified the UI and added a Software Updater for easily keeping the eye on all your potential vulnerabilities. Plus, there's an optional Browser Cleanup tool for removing pesky toolbars and plugins. 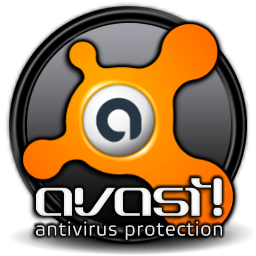 If you are sticking to Windows XP until 2014 when Microsoft will end it’s support, Avast is the best choice to stick with. Security Essentials failed in my tests when I tried to experiment my encrypted malware, rather most of the free ones failed. Though avast wasn’t bypassed by that, nor Avira/AVG. But avast! is lighter and cooler than Avira/AVG, so I’d say go for avast!. Most of the reviews by users and editors suggest it being good and my own experience with this FREE security solution has been too good to not to use it :D And just in case you don’t feel secure in free hands, then I’d say go for BitDefender or Kaspersky. The link to download avast! follow. I hope my review helped you all. I included popular websites’ verdicts so that you guys could have more faith in my review :P Avast! is quite a good solution and I would say if you want a free solution just download it now! Just click the image below to download avast! for free  Don’t worry it is completely legal, free and safe to use! 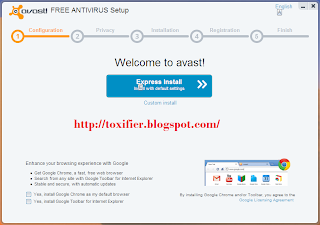 If you want any tech support regarding avast antivirus call to us toll free Avast Tech Support Number.